With the aim to further enhance the cyber resilience of the banking sector in Hong Kong, the Hong Kong Monetary Authority (HKMA) has announced the Cybersecurity Fortification Initiative (CFI) in May 2016. The CFI consists of three pillars: Cyber Resilience Assessment Framework (C-RAF), Professional Development Programme (PDP), and Cyber Intelligence Sharing Platform (CISP). 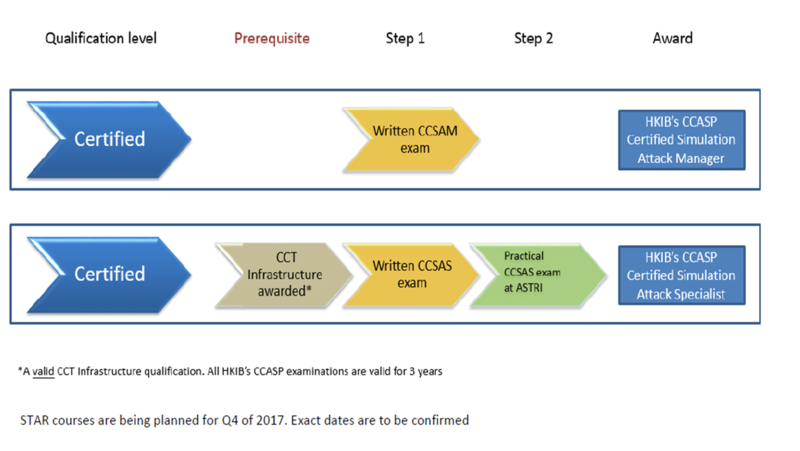 Under the PDP, the HKMA is working with Hong Kong Institute of Bankers (HKIB) and Hong Kong Applied Science and Technology Research Institute (ASTRI) to develop a localized certification scheme – Certified Cyber Attack Simulation Professional (CCASP) and training programme for cybersecurity professionals. CCASP is also supported by the Council of Registered Ethical Security Testers (CREST) International. Please refer to HKMA circular on “Cybersecurity Fortification Initiative” for details. The CFI is targeted at “Relevant Practitioners”, including new entrants and existing practitioners, engaged by an authorized institution to perform cybersecurity roles in Hong Kong. The entry level that aims at individuals with around 2,500 hours relevant and frequent experience in IT or security area. By passing the examination in this level, an individual is demonstrating his/her commitment as an information security tester. Typically, candidates wishing to sit a Registered Tester examination should have at least 6,000 hours (three years or more) relevant and frequent experience. This level is designed to set the benchmark for senior testers: These are the certifications to which all testers aspire. 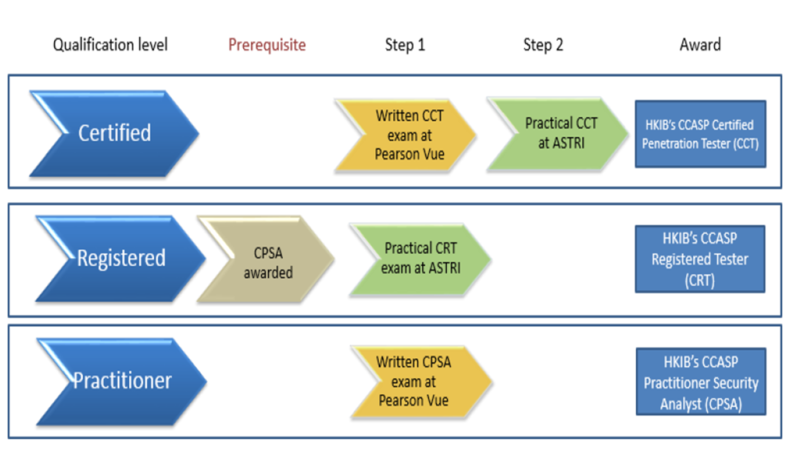 By gaining the CCASP Certified Tester certification, one is recognized as an information security specialist. Upon successful completion of the examination, candidates would receive certificates from both CREST and HKIB. Applicant should complete and sign the Application Form, together with the appropriate programme and/or examination fee, and return by fax or email, or by hand to HKIB Office on or before the corresponding enrollment deadline. Candidates are suggested to take the training by CCASP accredited training providers before taking the exam. However, the training lessons are not compulsory for the exam. The classroom based training includes group discussion, lecture with handouts and group exercise.